In the last six months, 29 benchmarking bills and ordinances were introduced in cities and states across the country. Several USGBC Chapters around the country have adopted the Mainstream Building Benchmarking Campaign and are advocating for local benchmarking policies and programs intended to collect data, increase building energy efficiency and facilitate better building operations. The unique aspects of each chapter initiative, specific to interests of the market, industry and building stock in each city and state, represents the ingenuity of the USGBC chapter network. So far this year, 29 benchmarking bills and ordinances were introduced at the state and city levels. While only some will become law, each plays an important role in advancing the important message of benchmarking our building stock. Below are three examples of how we are working with our advocate leaders to drive change on building energy benchmarking so far in 2012. Philadelphia, PA – Last week, Bill # 120428 was introduced into the Philadelphia City Council which would require commercial buildings over 25,000 square feet to annually benchmark energy and water usage. This type of legislation is a great leap forward in improving the existing building stock in the city of Brotherly Love. The Delaware Valley Green Building Council played a strong role in advancing this bill by partnering with allied organizations as part of the Coalition for an Energy Efficient Philadelphia. While this legislation has a few hurdles still to clear, it is an important first step in improving building operations in the area. Way to go DVGBC! Minneapolis, MN – With the launch of the Performance Metrics Strategic Initiative, USGBC Minnesota and its leaders have demonstrated a great amount of creativity and strategic thinking to clearly show the benefits of LEED buildings. Through a partnership with the St. Paul, MN based EnergyPrint, Inc., this initiative will collect, report and assess the building performance of more than 150 LEED Certified buildings throughout the state through the reporting and analysis of energy and water use. 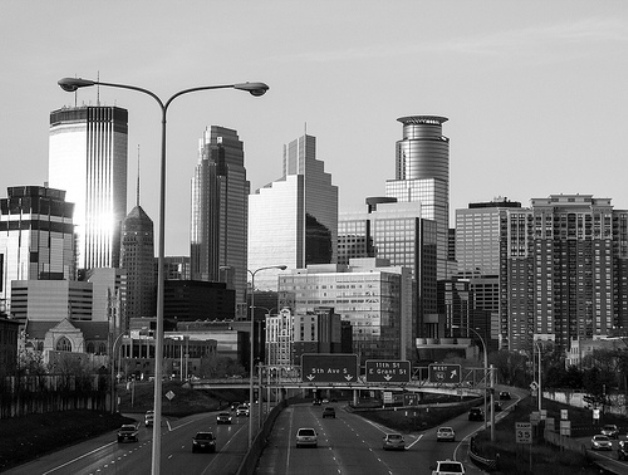 The information gathered through this program will facilitate further education on better building techniques and USGBC Minnesota’s actions will help advance the green building conversation in the Midwest. Oklahoma City, OK – Governments lead by example when it comes to building green. Oklahoma State Bill 1096, signed by Governor Mary Fallin on May 8, creates the Oklahoma State Facilities Energy Conservation Program which will collect and track historical utility cost data for publicly funded buildings. This legislation should enable better decisions in the future in the planning and construction of state buildings and establish a wealth of data that can be analyzed to more easily identify performance improvement strategies. In facilitating government leadership on building energy efficiency issues, the USGBC chapter community can provide expertise, support and advice to make policy ideas like SB 1096 a reality. Kudos to all USGBC Chapter leaders working hard to advance the green building conversation in their local community, city and state through concentrated and focused advocacy activity. All USGBC campaigns can be found at usbgc.org/campaigns. Each campaign will be updated with information and additional materials, such as lessons from these great programs.